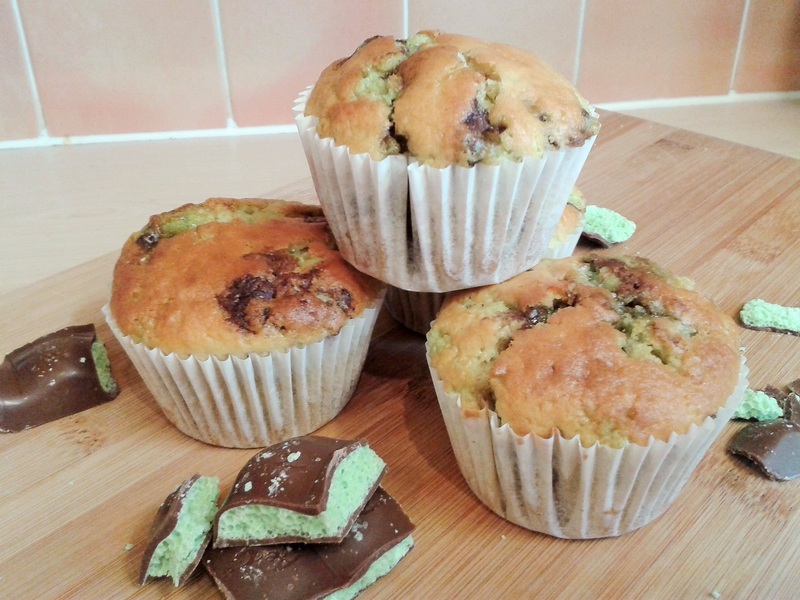 If you love the combination of mint and chocolate as much as I do, these easy muffins are for you! 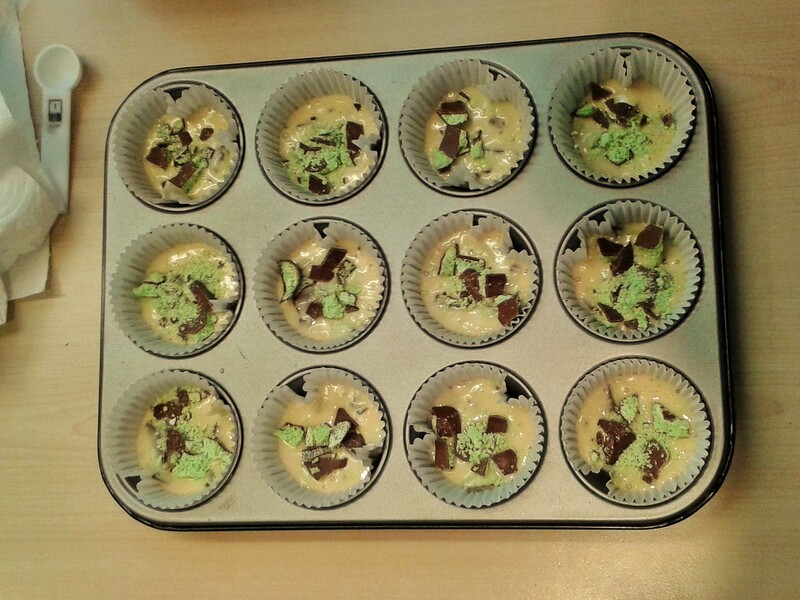 Firstly, one answer to the question I know you’re all asking yourselves: how do you make sure muffins rise properly? Well, just pre-heat the oven to 220 degrees C. You’ll turn it down to 200 degrees C later when the muffins go in, but heating the oven like this before you put the muffins in helps encourage a good rise. It works! Put your muffin cases in your muffin tin. Mix together the flour, baking powder and caster sugar in a large bowl. In a separate bowl beat the egg and then add the oil and milk. Add the wet ingredients to the dry. Combine gently with a fork. Don’t over-beat. 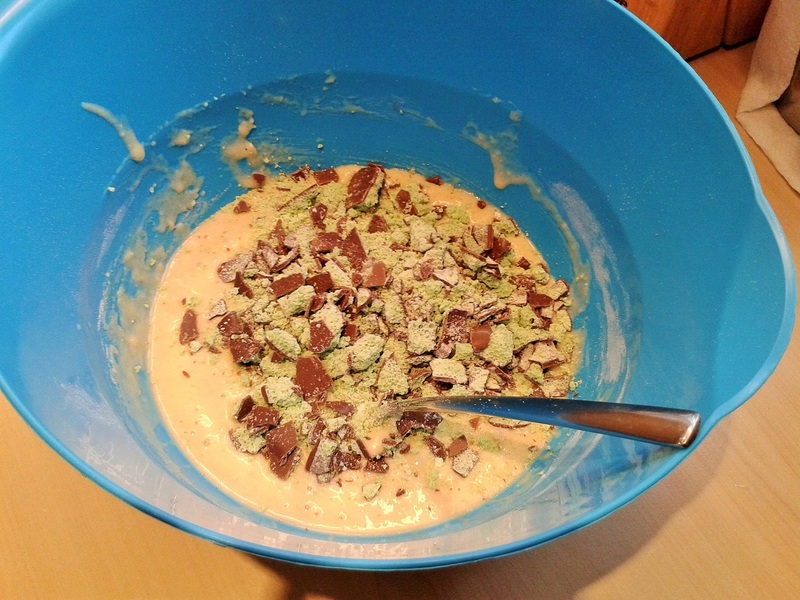 Your mixture should be quite lumpy – this is fine! However. I’m sure you could use any kind of mint chocolate you like. If you prefer to use dark chocolate, for example, I’m certain that would work too. 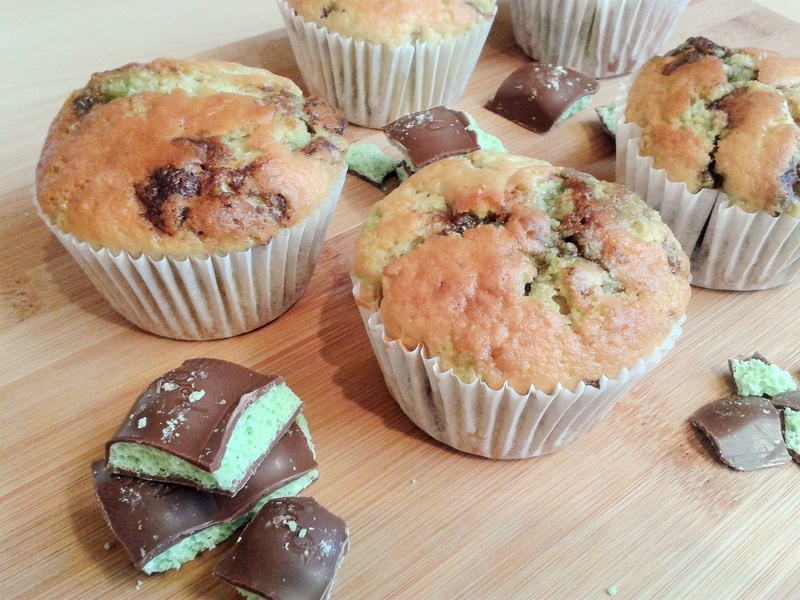 Aero mint chocolate is very easy to crush, which also makes it handy for this recipe. You might need to chop your chocolate into small chips. I crushed 120 g (a whole bar) and added it to the mixture. Stir the chocolate through until it’s evenly distributed. Then add another spoonful of mixture to each case to cover this additional chocolate. Personally, I think they’re nicest when eaten as soon after baking as possible. That’s when the top is still a bit crunchy (yum!). 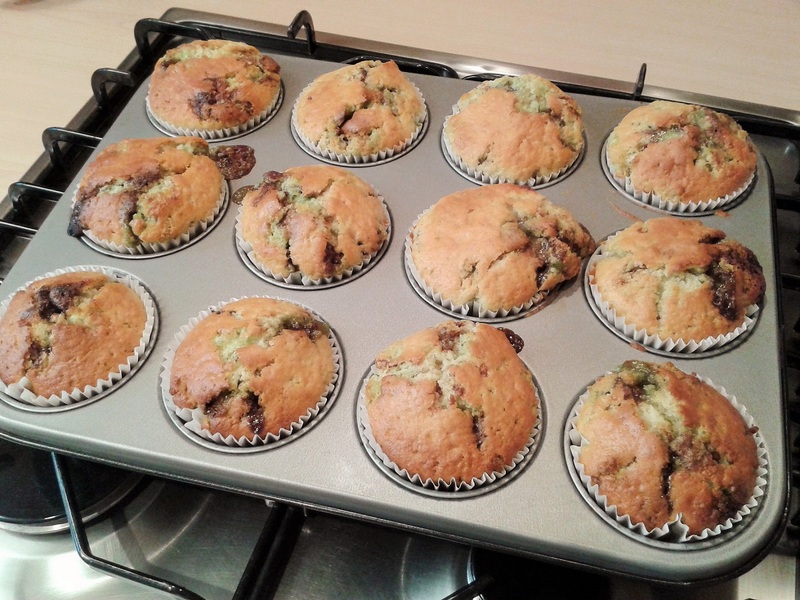 If you’d like to make a slightly healthier muffin, you can check out my recipe for banana and peanut butter muffins. Thank you 🙂 They are delicious. I made twelve and they’ve all gone already! I’ve tried oreo muffins but they were a bit dry. A brownie would be lovely because the gooeyness would balance the dryness of the cookie perfectly. Yum! I’ve just bookmarked that! Lovely 🙂 Thanks! Ah, I miss Aero chocolate so much! It’s been years since I was in the UK and had it, but I still remember the taste. Thanks for the recipe, Claire. Looking forward to testing it out once I find some good mint chocolate. I love mint and chocolate! These look so good! These sound heavenly. I am definitely bookmarking this for later. No idea what I’ll do this week, but my son keeps picking up the empty cake tub and giving me despairing looks, so I’ll have to come up with something! Amazing, it’s so British for a French guy, just like After-Eight Mint Chocolates !! 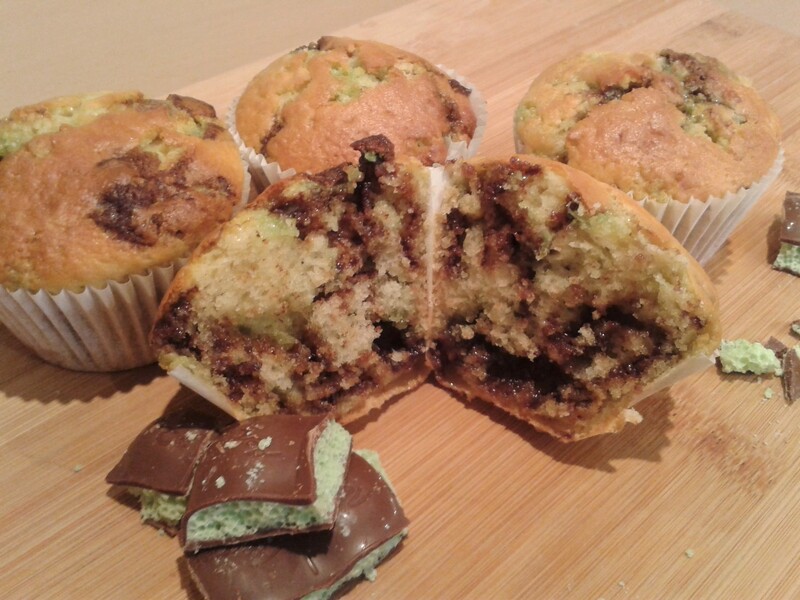 You could try to create an After Eights Cupcake !! I’ve made After Eight brownies (which were delicious). Cupcakes would be a great idea! Did you already publish the recipe ?